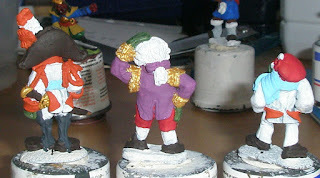 Finally I get myself back to some work on my miniatures collection with my Flintloque Todoroni and Joccians. These have been waiting around a bit as I have been busy or not feeling like getting on and painting figures. 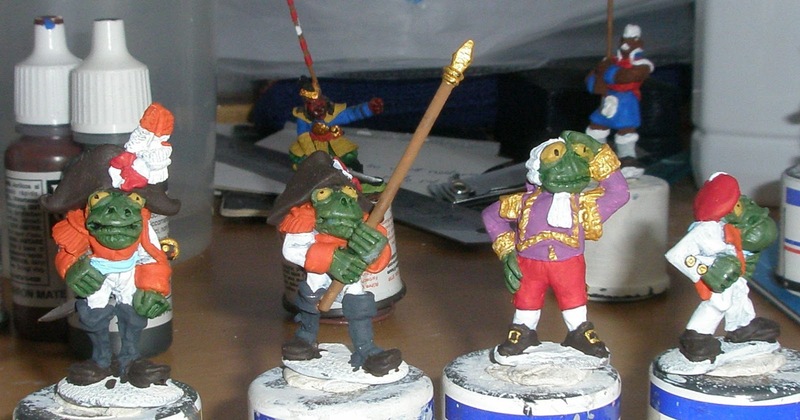 Todoroni command with Vallejo gold added - not my favourite metallic paint and not as good as their gunmetal, but I'll try adding a wash and then a dry brush on top to see how it looks. Rear views of the officer, noble and singer. 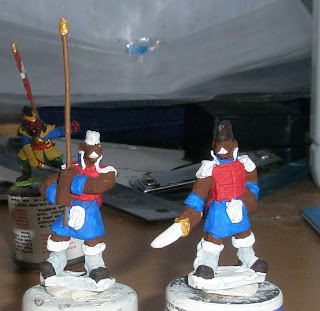 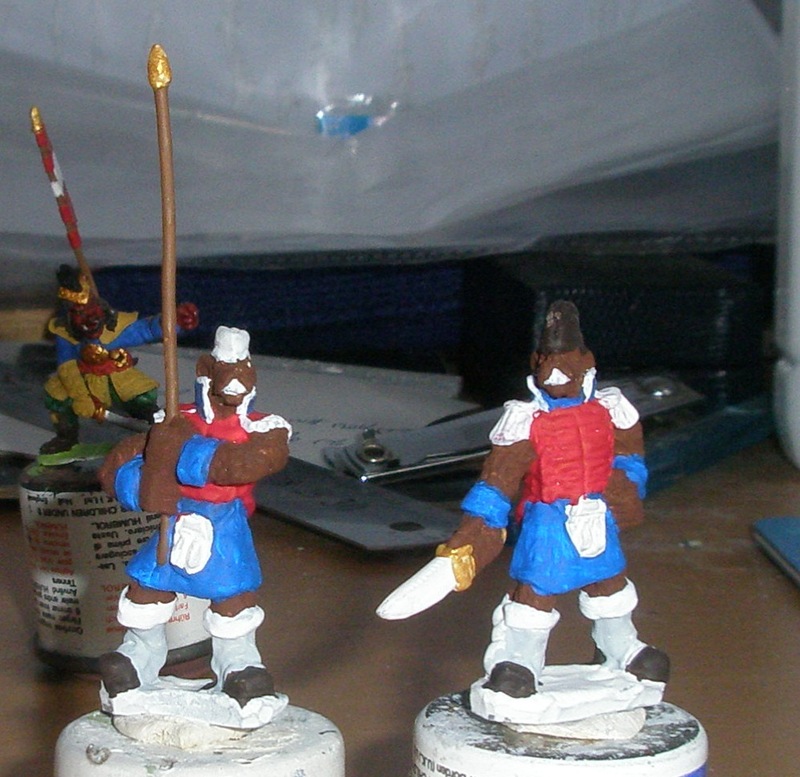 Joccian standard bearer and officer, with the base coat for their tartan kilts applied.